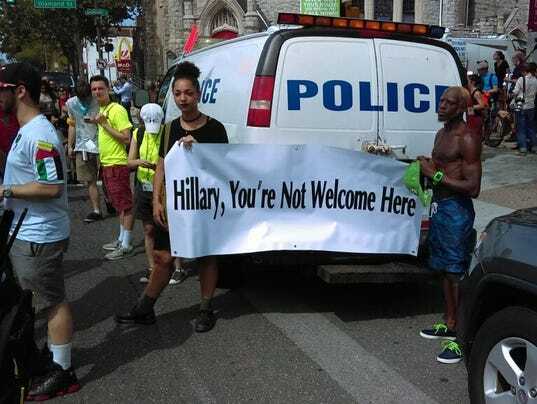 Several hundred demonstrators aligned with the Black Lives Matter movement and other social justice groupsÂ took to the streets of North Philadelphia Tuesday afternoon to raise concerns about police brutality and speak out about presumptive Democratic nominee Hillary Clinton. Carrying homemade placards and flags, the crowd — which rallied at Temple University before a planned march to City Hall –Â represented the most ethnically and racially diverse of the demonstrations so far. “Power to the people!” the group shouted from the street outside a north Philadelphia church. 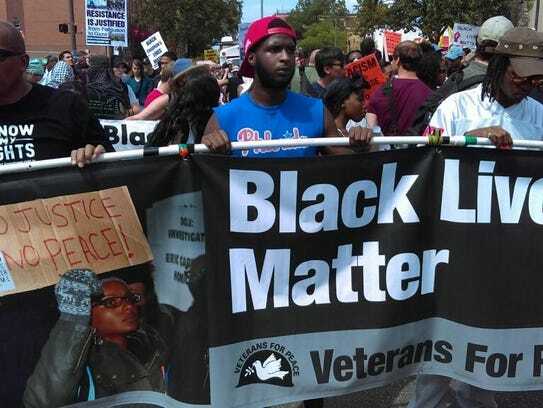 From a microphone in the back of a pick-up truck, speakers took turns urging the crowd to focus on the plight of minorities — black, brown and indigenous people — who have been killed in confrontations with police.Â Dozens in the crowd held signs with the names of men, women and children who were killed in police-involved shootings. Some of the victims, such as Walter Scott, Eric Garner and Tamir Rice, have become familiar names in the movement.Â But the protesters also paid tribute to young black men like Clarence Howard, 22, who was fatally shot in June by an off-duty Brevard County, Fla., deputy sheriff in an alleged road rage incident. “I’m here because it’s important that people know what we are concerned about and that fair treatment, regardless of who you are or what you look like,” said Chris Rogers, 27, a local public school teacher. Clinton fared well in the primaries among African-American voters. 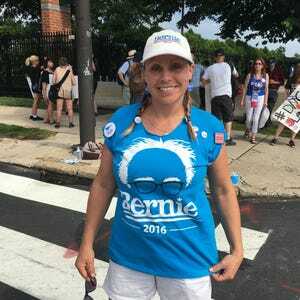 ButÂ Asa Khalif, an organizer with the Philly Coalition for Real Justice, said the demonstrators wanted to send a message to Clinton that she is in danger of losing the support of members who are aligned with the movement. Khalif criticized Clinton for supporting the 1994 crime bill that was signed into law by her husband. He alsoÂ charged that the Democratic Party largely ignored the BLM movement as the party put together its convention platform. KhalifÂ said some of Clinton’s rhetoric on the campaign trail has been patronizing, noting her comments to a black radio show host in April in which she said she always keeps hot sauce in her purse. Khalif said Republican nominee DonaldÂ Trump is a “racist bigot” who won’t win votes from his community. But he said Clinton still has a chance to keep young black voters from casting ballots elsewhere or sitting out the election. He said Clinton should specifically make it clear that she will expect authorities to fire and prosecute police officers who are captured on video shooting unarmed men and women. 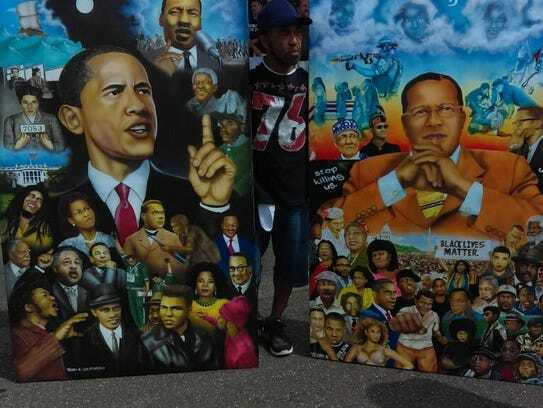 Ramil Carr, 31, a Philadelphia freelance photographer, said the convention represented the “perfect opportunity” to call attention to persistent issues of racism and poverty. “I don’t think they are talking about those thingsÂ (at the convention), so we are,” Carr said.